Only two baseball teams can compete in the World Series each season, but that doesn’t keep other clubs from doing their best to make a splash with their hopes and plans for next season. In the case of Minor League Baseball’s Inland Empire 66ers, that meant extending an offer to Bob Costas to be the club’s broadcaster next season. 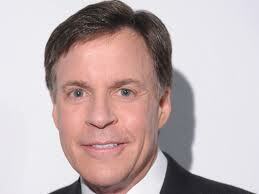 In the past, Costas has shared a dream to broadcast Minor League Baseball. The dream resurfaced recently with journalist Joe Posnanski. On Saturday, I had the privilege of chatting with Mr. Costas about this dream. "Minor League play-by-play is an old notion that will not happen anytime soon, if it all," Costas said. Costas made clear if it did happen one day, no one would lose his or her job. He would simply come alongside the current broadcaster. Costas also cited a full schedule of duties in his contracts with NBC and MLB Network. Do you have a dream on your radar that you have to put on hold until the future becomes clearer? Tell me about it. Safia Syed is Regional Controller Finance at Aditya Birla Minacs. She is responsible for improving business insights and operational excellence through departmental budgeting, regular reviews, project profitability analysis, and support on revenue assurance. This week on Sam’s Dream Blog, Safia shares her dream of opening a school in her mother’s honor. What’s your dream? The name of the school is Mother Noor-un Nisa School. This is named after my mother. My mother is going to be 83 years old next January. I am hoping once the school is ready, she will be able to do the inauguration. I was once poor, and the right education gave me the opportunity to live the life I am enjoying. If somebody did not plant a tree, you would not be enjoying its shade. If you are enjoying it, then it becomes your responsibility to contribute in the same manner. What steps have you taken toward your dream of giving back in a particular way? I used to think about a lot of projects. All of them required a lot of finances. So I would dream big, but nothing materialized. Since it was not working, one day I decided to start a small project. I bought the land in a slum area and will build a school where underprivileged kids will be taught to achieve any of their dreams, big or small from the very beginning. We are in the process of getting the site map ready. Once it is done, the construction will start. The site plan and design are done by my friend, so he has already contributed. Another friend has a clothing factory and promised uniforms. People in the food business will send healthy food for kids, as it is important that along with education, their health is good as well. Some of my doctor friends will come on site. How have your dreams changed? The more I see coming closer, I can innovate this dream by day. What are some obstacles you have overcome? I am managing this project long distance, so the speed to get approval is not that fast. The estimated opening is next September. But it may take a little longer. Finances are not the issue, but city approval and everything else is taking a bit longer. Construction itself will last a good six months. How can you honor someone through your dream? Tell me about it! Norm Coleman embarked on a new dream journey at age 70. 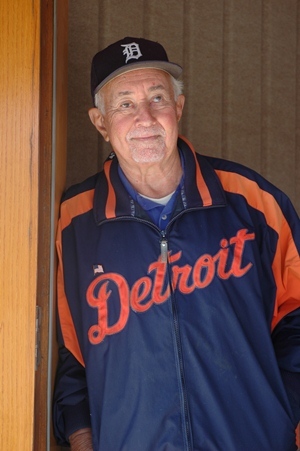 With no prior acting experience, the self-described "ham" developed a one-man show portraying Detroit Tigers legend Ty Cobb. He has since traveled around the country and reconnected with rival "Babe Ruth." Now remind me, why are you waiting to pursue your dream? Dreaming Made Simple: What made you think you could do a one-man show? That’s pretty courageous not to have a supporting cast. Dreaming Made Simple: Why pick Ty Cobb to portray? Norm Coleman: I’ve been a baseball fan since I was a child, growing up in Brooklyn. Until roughly six years ago, I did not know a thing about him, except he was this great ballplayer with terrific records. Visiting my local library in Half Moon Bay, Calif., I went to get a book on Jackie Robinson. Right next to the book on Jackie Robinson was a book on Ty Cobb, written by Al Stump. As I read the book, I became fascinated with the complex character of Ty Cobb. I quickly envisioned a one-man show. At that time, I had just started acting in a local theatre. I had never acted a day in my life. I’m a retired award-winning photographer. I joined SABR (Society for American Baseball Research), and they put me in touch with numerous Cobb historians. I became obsessed with the Cobb story. I read, I’d say, 10 to12 books on the man. I saw him as politically incorrect for our day and time, but I saw his story as very interesting. I wanted to tell the other side of the man. As I began to read more and write a script, I contacted several local Rotary clubs. They loved the performance. They loved the story and referred me to about 18 other Rotary clubs. Between the Rotary, Lions and Kiwanis clubs, I got to perform quite a bit and hone the show. SDB:Where have your travels taken you by now? Norm Coleman: I did a couple other shows in California, I did a small one up at The Marsh in San Francisco. My big break came after writing to the Detroit Tigers. I got a Tigers media guide and wrote letters to about 15 top officials. The following year I again wrote to several people, including Tigers Owner Mike Ilitch. He referred me to [Tigers President/CEO/General Manager] David Dombrowki. Mr. Dombrowski referred me to [Director, Lakeland Operations] Ron Myers from the Tigers Spring Training site in Lakeland, Fla. I will never forget the moment when he called and said, "Norm, we want you." That was the first time I did the entire 85-minute show. Rotary gives you 20 to 30 minutes. Dreaming Made Simple: How did you get connected with "Babe Ruth?" Norm Coleman: That’s an interesting story. I am in contact with a lot of bloggers. One of them was a gentleman who used to work for ESPN, out of Pasadena. He told me he videotaped a Babe Ruth impersonator out of Boston named Steve Folven. I saw the video and contacted Steve. I had been considering a two-man show with Ty Cobb and Babe Ruth for some time. He said, yes, I’d like to do it with you. I wrote the script and went to Boston this past August. We performed six shows in six different cities for Rotary clubs. The two of us got on the same page very quickly. Steve came to San Francisco in April of this year, and we met at [famed sports restaurant] Lefty O’Doul’s. We went to the restaurant in costume. We sat down at a table in the back, and we attracted a lot of attention. We had no script. We talked like two old guys having a beer together. Restaurant owner Nick Bovis liked the show so much that he booked me to do a show at Lefty’s next month. Steve and my photograph is hanging under an 11 X 14 photo of Ichiro. Dreaming Made Simple: Let’s talk about fellow San Francisco native Joe DiMaggio. You actually photographed Joe D., right? Norm Coleman: Yes, I did. I had a portrait studio in San Mateo, Calif. for 30 years. I did a bar mitzvah for a well-to-do family. They told me they had a VIP coming. It was Joe DiMaggio, who was a good friend of the grandfather. "Don’t talk to them. Just take the picture. Don’t ask for an autograph," they said. Dreaming Made Simple: How did you get into photography? Norm Coleman: I started in New York City. I studied at the New York School for Social Research. I studied with a very famous photographer named Lisette Model. She was the second woman photographer hired for LIFE magazine. I was very fortunate to be in her class. I later moved out to Santa Fe, NM. I photographed the ghost town, and I photographed Indians. When I came out to California, I got a job as a ballet photographer. In 1965, I opened up my own portrait studio in San Mateo and got into the wedding business. I photographed many athletes over the years at social events - Willie Mays, Joe Montana, Johnny Bench - My claim to fame was I photographed Ronald Reagan when he was running for president back in 1980. Dreaming Made Simple: Why did you start acting? Norm Coleman: I went to a local theatre called the Coastal Repertory Theatre. I was so impressed with the acting. As I was walking out of the theatre, there was a letter on the table. It said there were auditions for the next show. I picked the letter up and put it on my bulletin board. I looked at it numerous times. I went down there and read a bunch of lines. I came back and read some more lines. Then I got a call back, and they said, 'We have a small part for you.' It was a small part - exactly 16 lines - I played a juror. It took me forever to memorize those lines. I didn’t know stage right from stage left, but I loved being part of the theatre family. I was bitten by the theatre bug, you might say. At that time, I was reading about Ty Cobb. I began to put it together that this could be a one-man show. Dreaming Made Simple: What’s your dream, and how has that evolved in the six years you have been playing Mr. Cobb? Norm Coleman: My big dream is to perform at the Baseball Hall of Fame in Cooperstown, N.Y. They know who I am. They have my information. I have performed at the Ty Cobb Museum, but my big dream is to perform at Cooperstown. Tara Ruiz currently works for a packaging and forwarding company, but that’s not even the half of her story. Tara is going back to school to pursue her Bachelor's Degree in Supply Chain Management through Ashford University’s online classes. ?Before my recent employment, I could not find a job to save my life!" Tara says. ?I can only assume that my degree will open doors for me that I don’t even know exist.? Tara continues her courageous story? I'm going back to school to be able to provide a more secure future for my children and me. I am at the bottom of the money pole in this industry, and I am interested in logistics for some reason. I think what is most exciting is that I will get to meet and work with people from all over the globe. People and different cultures are very interesting to me. Honestly, what gave me the courage to do this is my children. They had been out of my life for three years, and in September 2011, they came to live with me full time. That is when I realized I needed to start making better decisions for their future and mine. I am more mature now than when I was right out of high school. All I wanted to do was be a famous model. Well, now that I am 36, that isn’t going to happen! It took me all this time to figure out what it is that I like and what I am willing to dedicate my precious time and money to. I feel that you can't keep making the same bad decisions and expect a different result.? How can YOU emulate Tara's courage and step out toward a dream? Tell me about it! Here is another post in the Featured: "What’s Your Dream?" series on Sam's Dream Blog. It allows readers to share what is the latest with their dreams, along with an e-mail address or Web site for more information. Today's guest, Sujata Kumari, is the founder of Flyhigh-world.com, an adventure travel Web site. She is also an independent consultant. What’s your dream? I have had many dreams since my college days. (Before that I never dreamt.) Some I managed to realize and others I had to shelve. I do chase my dreams, though, and some came true after years of toil, patience and hard work. None of my dreams came true within a year. I always had a dream to study and live abroad and explore new country and culture, which took years for me to realize. I also dreamt of traveling the world and exploring it by myself and had a lot of convincing to do before I actually went and did it. I did a lot of adventure sports (trekking, camping, white water rafting, paragliding, jet skiing, etc.) as I was fond of them. I also had to face a lot of visa issues but eventually it all got sorted. Visa officers never believed that I was going to travel to their country for tourism by myself. What’s the latest with your dream? I pursued my dream to start a venture. It has not yet yielded the results I was hoping for, so I'm going to shelve this one for now and chase another one. I also have a dream to write a book someday and to host a TV show. I love cooking and sometimes dream of training people with my mouth-watering dishes. So many dreams to chase in this lifetime. It just doesn't seem long enough. Here is another post in the "Featured: "What’s Your Dream?" series on Sam's Dream Blog. It allows readers to share what is the latest with their dreams, along with an e-mail address or Web site for more information. Today's guest, Brenda Paul, is an author and a sales development consultant. I have learned to cherish a wonderful moment in every day, to never give up no matter what, and that it is never too late, as long as you are still breathing, to follow your dreams. Here is another post in the "Featured: "What’s Your Dream?" series on Sam's Dream Blog. It allows readers to share what is the latest with their dreams, along with an e-mail address or Web site for more information. Today's guest, Wallace Jackson, is a multimedia producer who uses open source software solutions to provide e-Learning, e-Signage, Branding, Marketing, PR, MMO, VR, i3D solutions to leading international brands. What’s Your Dream? Being a single individual (versus an entire agency) that does major digital new media branding campaigns for mega-brand companies like Sony, Tyco, IBM and Samsung! This week marks the second post in the "Featured: "What’s Your Dream?" series on Sam's Dream Blog. It allows readers to share what is the latest with their dreams, along with an e-mail address or Web site for more information. 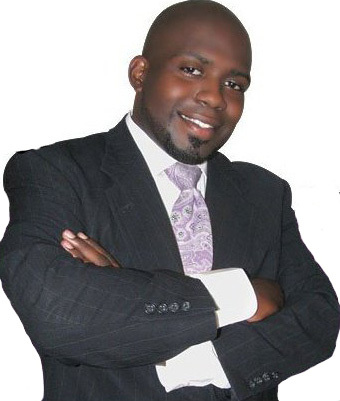 Today's guest, Darnell Davis, is the Owner and President at The Evolution Business Network. What’s Your Dream? Because we started seeing a decline in a lot of small businesses in the area (close to Philadelphia), we set out to help as many people as we could by going on an education mission. With the education mission, Evolution Magazine started to prosper and become a name in our area because we are dedicating our time not just to creating a [business and technology] publication, but we’re spending time providing people with ideas for a small business. The dream for me is just starting to develop. All I wanted to do was help small businesses. Starting the New Year, Sam’s Dream Blog is debuting a post called ?Featured: "What’s Your Dream?" It allows readers to share what is the latest with their dreams, along with an e-mail address or Web site for more information.Today’s guest, Loren Paulsson, manages Character First the Magazine, a publication dedicated to character development and integrity. What’s Your Dream? I'd like to "make it" as a writer and help others write well. What’s the latest with your dream? I started out as a copy writer/editor eight years ago and now have responsibility for the social media, website, and monthly magazine for Character First. The desire to "make it" never fades, but as we grow up, we find satisfaction in the journey; we lose ourselves in the process of understanding the world, understanding others, and relating to it all. In 2011, two individuals said my writing helped them, made them think. I'm grateful. Maybe I've grown up enough to touch others' lives.